It is cold and windy this morning. 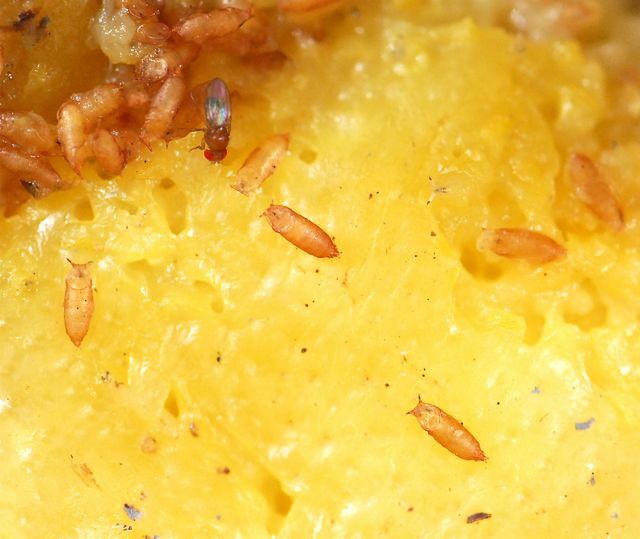 The only insects that are still active are the fruit flies in the compost heap. Why are they still active? Probably because the rotting compost gives off heat. It is the warmest place in the yard. 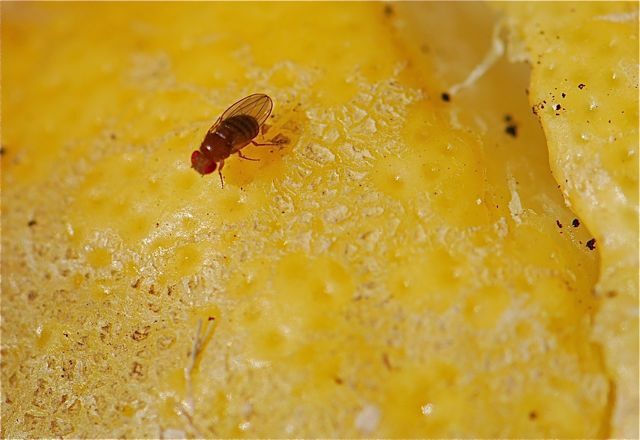 Fruit flies of the genus Drosophila are easy to identify because of their bright red eyes. What are not so easy to identify are these funny little brown objects. Those are the fruit fly pupae. 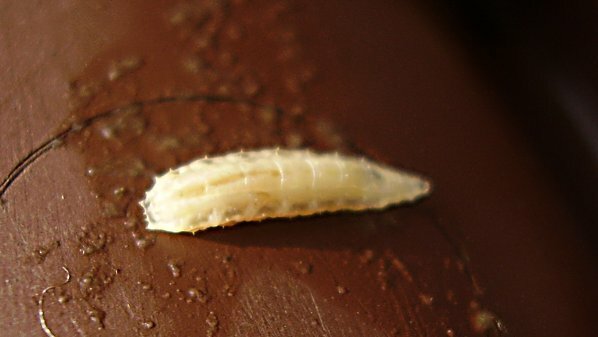 The larvae change into pupae, usually after crawling out of the food to a drier location. Adults emerge from the pupae. It is appropriate to honor the fruit fly here at Growing With Science. 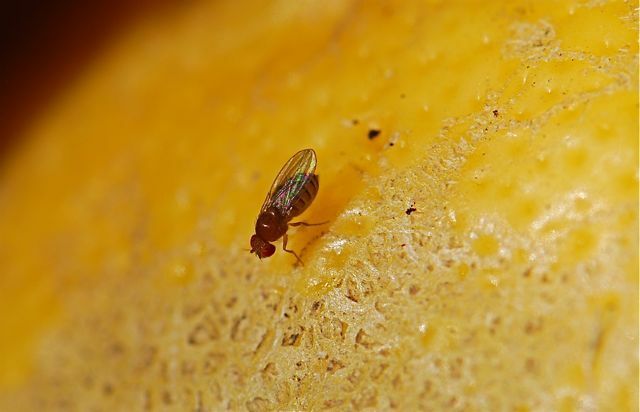 The humble fruit fly have been been the backbone of scientific work on genetics and developmental biology for over a century. Way to go, fruit flies! Have you ever used fruit flies for a science project? The post is amazing! What fruit is that? It is a lemon that fell off the tree. The lemons get scarred from rubbing against thorns from nearby branches. Yes, surprisingly lemon trees are thorny. The yellow stuff at the bottom with the pupae is actually mashed up a bit.